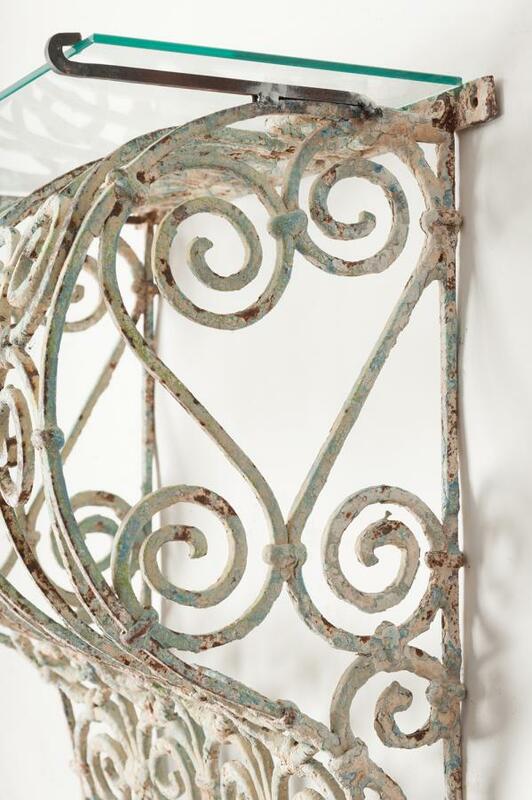 London South West, UK - The Decorative Antiques & Textile Fair blog suggested eight trends to look out for at this October's fair. They are decorated brown furniture, classic country house style, white ceramics, decorated folk art furniture, Art Deco glamour, bamboo and rattan, Indigo/blue and white and velvet upholstery. 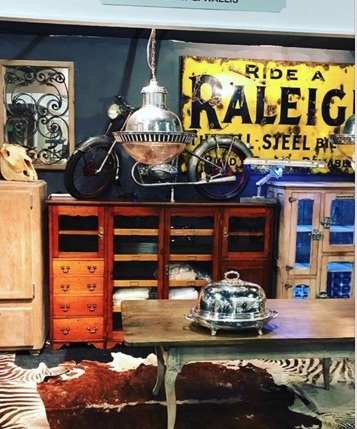 Salvo would also recommend looking out for exhibitor and Salvo code member, Antiques By Design specialising in upcycling architectural salvage and reclaimed items or materials into unique furniture, lighting and decorative pieces. Guy Chevenix-Trench is the the man behind these innovative ideas which have attracted many a designer and even a celebrity or two over the years. 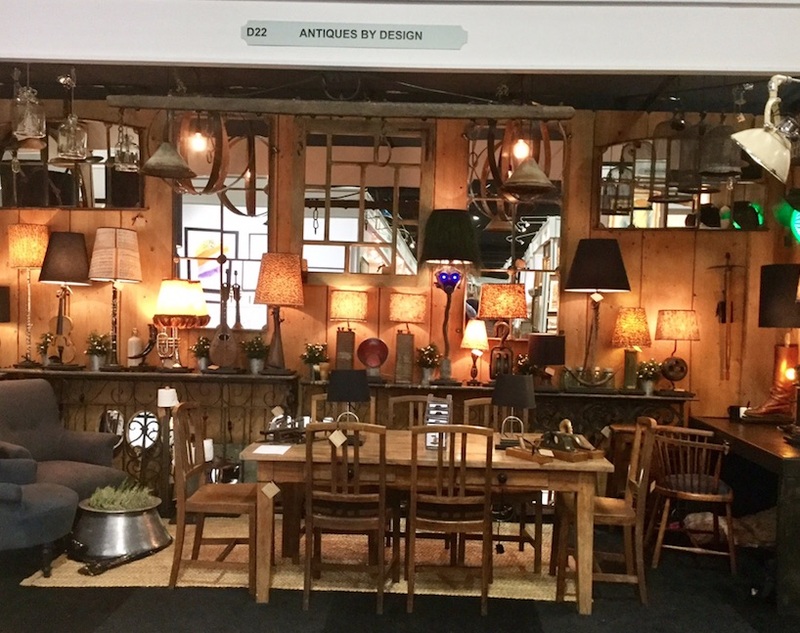 A regular at The Decorative Fair he reported, ' Another good first day at the Battersea Decorative Fair with lighting and furniture doing well.' Do not miss his latest beer barrel hoop pendant lights which have also been attracting a lot of attention. 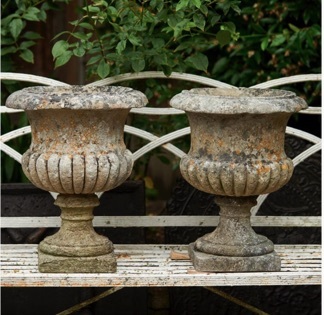 Look out too for Salvo Code member Nicholas Gifford-Mead, who is also BADA and LAPADA, exhibiting an excellent range of antique chimneypieces, fire furniture, sculpture and garden ornament. Other good stands to look out for are those who exhibited at the SALVO 2017 salvage and antiques fair in June: 3details, Fontaine, Gary Wallis, La Place Antiques, Mike Chugg, Nikki Page Antiques, No.1 Lewes, Norfolk Decorative Antiques, Streett Marburg and Charlotte Casadejus and The Antique French Chair & Sofa Co. To tempt you further the images show just a few. The Decorative Fair continues until the 8th October. See website links below for more details.